The Immersive Technology market is rapidly evolving. In order for businesses to progress and dominate in this space, they need to hire the very best people. Several leading organisations have already made significant appointments in 2019 and we have seen a number of new companies launch. To help you stay abreast of industry developments, we’re going to be highlighting key moves and new ventures across Europe’s Immersive Tech markets over the coming year. We’re kick-starting this series by taking a look back over the UK’s high-profile hires in Q1. 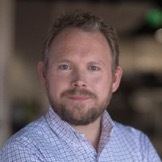 James Watson has joined Immerse, an enterprise virtual reality training platform, as their Chief Marketing Officer. With extensive experience in the digital marketing industry, this strategic hire will see James tasked with driving Immerse’s overall promotional strategy across both their VR solutions business and its SaaS offering. 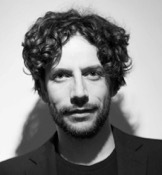 A regular speaker on the Immersive Tech conference circuit, James has appeared internationally at Women of Silicon Roundabout 2018, World VR Forum 2018, New Realities 2018 and Connected World Summit 2018, among others. He has leveraged these platforms to draw attention to the impact VR and AR is having on sales and marketing across the enterprise space. James comments: “It’s a great time to be joining Immerse given that enterprise VR solutions are rapidly moving up the priority list for global enterprises. The Immerse VR platform is already well established, with an impressive client list that includes Shell, QinetiQ and DHL. For more information on Immerse, please visit www.immerse.io. Dominic Collins, previously President of Product Engineering and International at Jaunt, has established Darabase. Alongside colleague and Co-Founder David Bomphrey, his aim is to produce a platform that manages and monetises AR permissions in the physical world. Broadly speaking, the business acts as a platform where individuals can share the potential of location-based AR. Between them, Dominic and David have over 40 years’ experience of managing and delivering digital business solutions. Working with property owners, retailers, media owners and advertisers, Dominic believes that the future of digital is immersive. Dominic comments: “From smartphones to smart-glasses, increasingly our digital world will be overlaid on physical locations. For more information on Darabase, please visit www.darabase.com. Marco Delvai has recently moved from Jaunt to UNIT9. As XR Partnerships Director, he will focus on working alongside the technology and creative team to unlock new opportunities to deliver content experiences and products. These will all be based on XR (VR, AR and MR) for brands and agencies, but also for IP owners, publishers, and enterprise operators. UNIT9 is one of the most awarded interactive production studios. It focuses on the endless possibilities available at the intersection of creativity and technology. In its over 21 years of history, UNIT9 have delivered some of the best immersive experiences for clients such as Samsung, Nike, Castrol, Strongbow, Nivea, William Hill, Emaar, Coty, HBO, SEAT and many others. 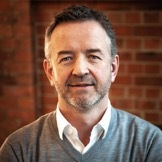 Marco comments: “I was one of the earliest employees and member of the senior management team at Jaunt International where I led the EMEA content partnership team and worked for clients such as Manchester City, Paris Saint-Germain, Land Rover, CAA, the Olympic Channel, COPA90, Uber, Manchester United, and Allergan to name a few. For more information on UNIT9, please visit www.unit9.com. 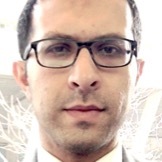 Dr Fadi Chehimi has recently joined Accenture’s ranks as the XR Delivery and Capability Senior Manager for UK&I. Partnering with almost 400 of the Fortune Global 500 corporations, Accenture are famous for their delivery of strategy, consulting, digital, technology and operational services. Their aim is to take a forward-thinking approach to invest, develop and deliver disruptive innovations. Throughout his career, Fadi has demonstrated his capability for delivering meaningful experiences. He is also experienced in differentiating solutions for clients across industries using mobile, web, IoT, cognitive and AR/VR. His journey with XR goes back to his PhD research, where he created novel concepts for MR advertising and entertainment on mobile – most notably the first prototype of AR ads on printed magazines. For more information on Accenture, please visit www.accenture.com. The first quarter was a promising one for UK Immersive Tech. With April well underway, we’re already seeing exciting movements that will shape the second quarter – and indeed the remainder of the year. If you’d like to share your news ahead of our Q2 Movers and Shakers list, please do get in touch. You can reach us at info@formulateglobal.com.